Dr. Flowers will take good care of you when you come in for an implant-supported bridge, or any other procedure. An implant-supported bridge is an option to full dental implants or dentures when replacing multiple missing teeth. Unlike dentures, bridges are permanently fixed in place and act a lot like your natural teeth. And, unlike dentures, bridges are usually made of porcelain and not acrylic. In an implant-supported bridge, the bridge is supported on either side by an implant. Implant-supported bridges create a stable, natural bite. The implant itself is a titanium post that Dr. Flowers will surgically place into the jawbone. An implant-supported bridge uses lifelike porcelain teeth and is permanently fixed in place. An implant-supported bridge is a good alternative for missing teeth. It is more stable and natural-looking than dentures, while being much more affordable than multiple dental implants. Dr. Flowers will examine your mouth and determine if an implant-supported bridge is the best option for you. 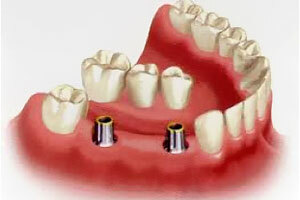 A dental implant-supported bridge is used when there is more than one tooth missing. It can also be used when there is concern you may put too much pressure on individual implants that aren’t connected to one another. An implant-supported bridge relieves pressure on the individual implants and spreads it across the entire bridge. Implant-supported bridges are an economical alternative to full dental implants and sometimes an option instead of dentures. Dr. 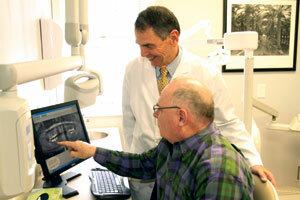 Flowers is very experienced and highly trained in the placement of dental implants. 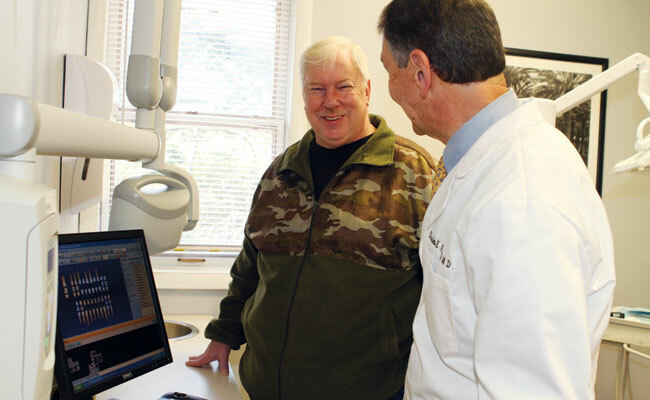 Read more about Dr. Flowers’ Dental Implant Treatment.